Wow your customers and clients from the moment they walk through your doors by choosing the team at Netley Millwork for all your commercial design and manufacturing needs. We’ll help you design pieces made from high quality, long-lasting materials to complement and enhance the high-traffic areas of your business and work closely with you throughout every step of the design and manufacturing phase to ensure that your commercial pieces are built precisely to your specifications. 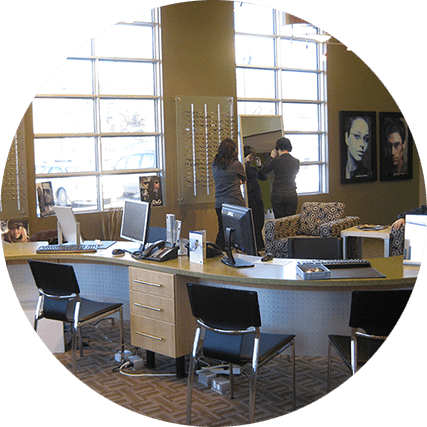 Our team of experts has designed and manufactured a variety of commercial pieces from office furniture, to reception desks, to school cabinetry and dental office storage, and can accommodate any unique needs or specifications. Choose from resistant and sleek materials including custom plastic laminate and add additional, personalized flair to your professional space by choosing from our numerous integrated lighting solutions. We use cutting-edge 3D rendering technology to design and plan your project so you can see what your project will look like when it’s complete, and are happy to help you choose from an unlimited number of colour and finishing options in order to help you design, manufacture, and install pieces that you’ll enjoy for years to come. We believe that it’s our attention to detail and dedication to working face-to-face with our customers during every step of the design, manufacturing, and installation phases of a project which helps our customers feel confident in the superior quality of our products and services. 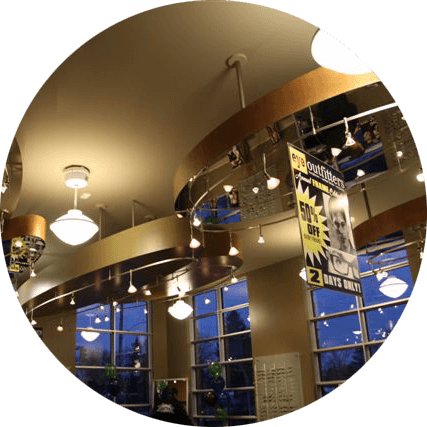 We take the time to listen and understand our customers’ needs, and are just as happy to design custom commercial works from scratch as we are to incorporate your ideas and suggestions into the final product. At Netley Millwork, our goal isn’t just to design, manufacture, and install an eye-catching custom millwork; we want to make you feel included in a community of professionals who are striving to produce a superior product which will enhance your home or business for years to come. We work with homeowners, business owners, contractors, and home builders who want to design beautiful and customized pieces for their homes or professional spaces. Get in touch and find out how we can help. Every piece we manufacture is a custom-designed piece which is created for a specific client, which means your pieces will be as unique as you are. We do on-site inspections and prepare high-detail drawings and renderings which ensure that your custom pieces will fit perfectly into any space in your home or business. The sky’s the limit when it comes to custom millwork; design floating shelves, feature walls, and other eye-catching decor from your ideal materials.